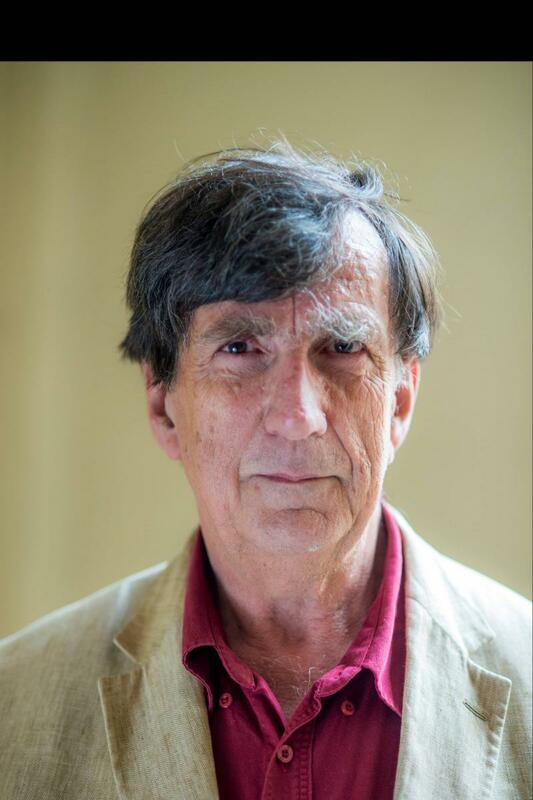 Short bio: Bruno Latour is now emeritus professor associated with the médialab and the program in political arts (SPEAP) of Sciences Po Paris. Since January 2018 he is for two years fellow at the Zentrum fur Media Kunst (ZKM) and professor at the HfG both in Karlsruhe. In addition to curating Critical Zones in ZKM (opening May 2020) he is also, together with Martin Guinard, curator of the Taipeh Biennale of Art (opening October 2010). Member of several academies, he is the recipient in 2013 of the Holberg Prize. He has written and edited more than twenty books and published more than one hundred and fifty articles. Long bio: Born in 1947 in Beaune, Burgundy, from a wine grower family, was trained first as a philosopher and then an anthropologist. From 1982 to 2006, he has been professor at the Centre de sociologie de l'Innovation at the Ecole nationale supérieure des mines in Paris and from 2006 to 2017 at Sciences Po Paris where, from 2007 to 2013, he has been vice president for research. After field studies in Africa and California he specialized in the analysis of scientists and engineers at work. In addition to work in philosophy, history, sociology and anthropology of science, he has collaborated into many studies in science policy and research management. He has written Laboratory Life (Princeton University Press), Science in Action, and The Pasteurization of France. He also published a field study on an automatic subway system Aramis or the love of technology and an essay on symmetric anthropology We have never been modern. He has also gathered a series of essays, Pandora's Hope:Essays in the Reality of Science Studies to explore the consequences of the " science wars". After having directed several thesis on various environmental crisis, he published a book on the political philosophy of the environment Politics of Nature (all of those books are with Harvard University Press and have been translated in many languages). In a series of books, he has been exploring the consequences of science studies on different traditional topics of the social sciences: religion in On the Modern Cult of the Factish Gods, and Rejoicing or the Torments of Religious Speech, and social theory in Paris ville invisible, a photographic essay on the technical & social aspects of the city of Paris. After a long field work on one of the French supreme Courts, he has published a monograph The Making of Law -an Ethnography of the Conseil d'Etat. A new presentation of the social theory which he has developped with his colleagues in Paris is available at Oxford University Press, under the title: Reassembling the Social, an Introduction to Actor Network Theory. More and more interested by political ecology question he has published Facing Gaia eight lectures on the New Climatic Regime in 2015 and Down to Earth - Politics in the New Climatic Regime in 2018. After having curated a major international exhibition in Karlsruhe at the ZKM center, Iconoclash beyond the image wars in science, religion and art, he has curated another one also with Peter Weibel Making Things Public The atmospheres of democracy in October 2005. He has curated Reset Modernity! (ZKM 2016). The three catalogs are with MIT Press. While in Sciences Po, he has created the médialab to seize the chance offered to social theory by the spread of digital methods and has created (now directed by Dominique Cardon), together with Valrie Pihet a new experimental program in art and politics (SPEAP) now directed by Frédérique Ait-Touati. Having been awarded and ERC grant to pursue an inquiry into modes of existence, he has been engaged from 2011 to 2014 in the AIME project, that is still going on. 2010: Recipient of the European Research Council Senior (ERC) grant for an inquiry into Modes of Existence (2011-2015). 2014: Elected foreign correspondant of the Royal Academy of Belgium – section Technology and Society. 2015: Elected for five-years professor-at-large Cornell University. 2015: Albertus Magnus professor, University of Cologne June 2015. 2016: Doctor Honoris Causa, University of Edinburgh. 2017: Elected foreign correspondant of Royal Danish Academy of Sciences and Letters section Social Sciences. 2018: Elected foreign correspondant of the British Academy. Blok, Anders, and Torben Elgaard Jensen. Bruno Latour - Hybride Tanker I En Hybrid Verden. Hans Reitzels Forlag, Copenhagen, (2009). Blok, Anders and Jensen Torben Elgaard (2011) Bruno Latour: Hybrid thoughts in a hybrid world, London, Routledge. Schmidgen, Henning (2011) Bruno Latour zur Einführung, Berlin, Junius Verlag. Harman, Graham (2014). Bruno Latour. Reassembling the Political, London: Pluto Press. Lars Gertenbach (2015) Entgrenzungen der Soziologie. Bruno Latour und der Konstruktivismus, Velbrük Verlag. Gerard de Vries (2016) Bruno Latour, Polity Press, London. 1993: « Interview avec Bruno Latour » interview by Hugh Crawford in Configurations Vol. 1 n°2 pp.247-269. 1997: avec Finn Olsen en danois (in Danish) in Philosophia Vol. 25, n° 3 et 4, pp.267-287. 1997: avec Gustav Rozler en allemand (in German) "Ein neuer Empirismus, ein neuer Realismus", Bruno Latour im Gespräch mit Gustav Roßler, Mittelweg 36, 6. Jahrgang, février-mars 1997. 2000 : « A Contract with Nature » interview with Shin’ichi Nakazawa, [English and Japanese translation] in Coucou No Tchi n°2, pp.190-211 (with an introduction by Kazuhiko Yatabe). 2003 : « Interview with Bruno Latour » In Chasing Technoscience. Matrix for Materiality (Eds, Ihde, D. and Selinger, E.) Indiana University Press, Bloomingon, pp. 15-26. 2004 : « The Social as Association » in Nicholas Gane (editor) The Future of Social Theory, Continuum, London, pp. 77-90. 2004 : « Interview with Bruno Latour: Debriefing the Collective Experiment » 16-17 April 2004 By Maria J. Prieto and Elise S. Youn (agglutinations.com/archives/000040.html). 2004 : « Por Uma Antropologia do Centro » Entretien avec Renato Sztutman et Stelio Maras en portugais (in Portuguese) Mana vol. 10 n°2 2004 pp. 397-414. 2005 : « There is no Terrestrial Globe », interview by Jean-Christophe Royoux in. (2005). Cosmograms. (Eds, Ohanian, M. and Royoux, J. C.) New York: Lukas and Sternberg, 211-222. 2005 : « Haciendo la res publica » entretien avec interview with Tomás Sánchez-Criado. Publicado en AIBR. Revista de Antropología Iberoamericana, Ed. Electrónica Núm. Especial. Noviembre-Diciembre 2005 Madrid: Antropólogos Iberoamericanos en Red. 2006: Chrisian S. G Katti "Mediating Political 'Things' and the Forked tongue of Modern Culture" A conversation with Bruno Latour, ArtJournal Vol. 65 n°1 pp.94-115 Spring 2006. 2009: "We are all reactionaries today" An interview to Konstantin Kastrissianakis for Re-public. 2009: "Angels Without Wings" A conversation between Bruno Latour and Anselm Frank for Animism. 2013 : Michael Cuntz und Lorenz Engell « Den Kuhen ihre Farbe zuruckgeben. Von der ANT und der Soziologie der Ubersetzung zum Projeject der Existenzweisen », im Interview mit , Zeitschrift für Medien – und Kulturforschung, 2/13,pp. 83-100. 2013 : John Tresh "Another turn after ANT: An interview with Bruno Latour." Social Studies of Science 43.2 (2013): 303-13. 2016 : Lars Gertenbach, Sven Opitz, Ute Tellmann "There is no Earth corresponding to the Globe" in Soziale Welt, volume 67/3 pp. 353-363.